E & S Consulting, Inc. is a Florida registered professional engineering firm dedicated to bringing our clients top-level consulting engineering services. We are proud to offer our services to attorneys, insurance companies, state and local agencies, as well as manufacturing companies. We specialize in product liability litigation and expert testimony. We also routinely perform failure analyses in non-litigation matters. Metallography, hardness testing, multi-channel temperature profiles, binocular microscopy, and photographic documentation are a few of the in-house services that we provide. We also offer a variety of testing services which include Scanning Electron Microscopy, X-Ray Diffraction, and Energy Dispersive Spectroscopy. Is a court-qualified expert in the field of Product Liability and Failure Analysis. He has over 20 years of experience and has testified in depositions and trials. Mr. George's forensic training is complemented by his industrial experience including heat treating of metals, welding and joining of materials, materials testing and evaluation, and quality control and assurance. 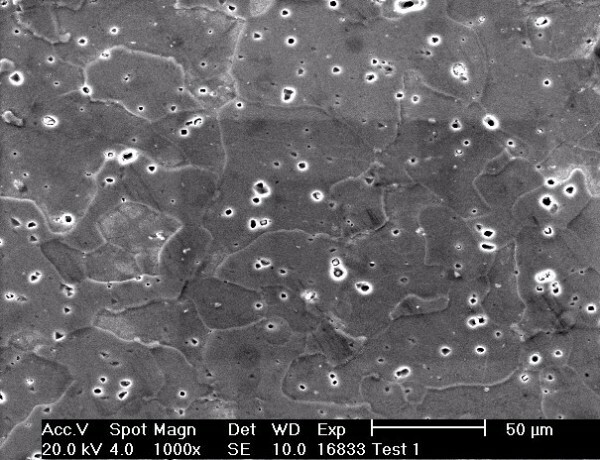 He also has experience with optical and scanning electron microscopic techniques as well as destructive and non-destructive physical testing laboratory equipment and procedures. (PE #51375) in the State of Florida. He is also Certified (#7431-3059) by The National Association of Fire Investigators as a Fire and Explosion Investigator. Along with his knowledge and experience in materials science, he is uniquely qualified to evaluate and interpret evidence provided by materials in analyzing fire events. As a member of The National Society of Professional Engineers, The American Welding Society, The American Society for Testing and Materials, The Society of Automotive Engineers, The Minerals, Metals and Materials Society, The National Association of Fire Investigators, The International Society for Fall Protection, The National Pool and Spa Institute and The Materials Information Society, Mr. George has experience in a variety of material failures including metals, polymers (plastics), composites, ceramics, glass and porcelain.